Chandigarh: In a written statement issued yesterday, Shiromani Akali Dal (Badal) and the Delhi Sikh Gurudwara Management Committee (DSGMC) leader Manjinder Singh Sirsa repeated Indian Nationalistic rhetoric and criticised the Government of Pakistan while terming Sikhs as integral part of India. He said that “Sikhs were integral part of India and will remain so forever”. 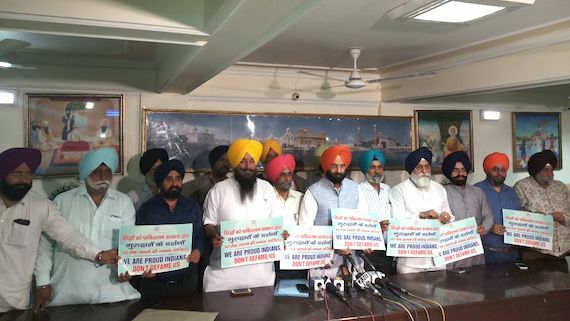 Toeing the line drawn by the Indian state, Manjinder Singh Sirsa said: “we strongly condemn the action of the Pakistan Government to not to allow Indian High Commission officials to meet visiting Sikh delegation for unspecified reasons. He said that it appears that this is a conspiracy against the Sikh Community by the Pakistan Government to discord Indo-Pak relationship ahead of 550th Parkash Purab of Sri Guru Nanak ‘Dev’ Ji”. Referring to an old video that is being re-used by the Indian Media to allege that Pakistan is conspiring with the Sikhs against India, Manjinder Singh Sirsa said: “it was also shocking to see a video of Pakistan Gurudwara management board official who is hailing the banned International terrorist Hafiz Sayeed and criticizing our Prime Minister”. DSGMC leader, who had showed utter reluctance along with the DSGMC to timely and strongly address the concerns of Sikh masses against controversial Nanak Shah Fakir film, maintained in this statement that these developments on the soil of Pakistan have “become a major cause of concern for Sikh community” as they wanted to celebrate 550th Prakash Purab of Guru Nanak ‘Dev’ Ji in November 2019 as per the guidance of Sri Akal Takht Sahib. He said that a high level delegation will meet Indian Prime Minister Narendra Modi under the leadership of the SAD (Badal) President Sukhbir Singh Badal on this issue and urge him to take up this matter at appropriate level to ensure that safety of Yatris likely to visit Pakistan from across the world. He said that he had also written about this to India’s External Affairs Minister Sushma Swaraj. 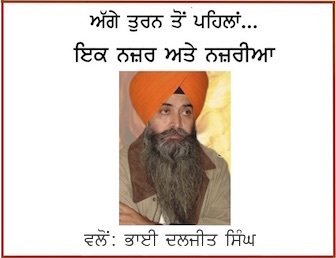 SAD (Badal) leader who is a BJP MLA in Delhi said that “though a major issues including punishment to guilty of 1984 Sikh ‘carnage’ (he did not use the term genocide), attack on Sri Darbar Sahib, discrimination with Sikh community and amendment to article 25 B to give Sikhs a separate religious identity are lingering on since long but battle for these issue will remain within the borders of our country”. It is notable that India’s External Affairs Ministry has been alleging for past few days that Pakistan was not allowing India’s High Commission to meet Sikh yatris visiting the Pakistan to celebrate Visakhi. 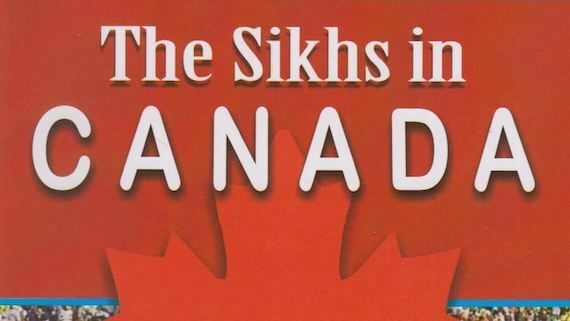 Pakistani authorities, however, deny these allegations maintaining that the High Commission was told to return due to (alleged) ‘anger amongst the Sikh yatris’ over allowing a controversial film in India that was being opposed by the Sikhs. Manjinder Singh Sirsa has ignored the fact related to Indian media’s claims and endorsed its ‘conspiracy’ to target Sikhs.